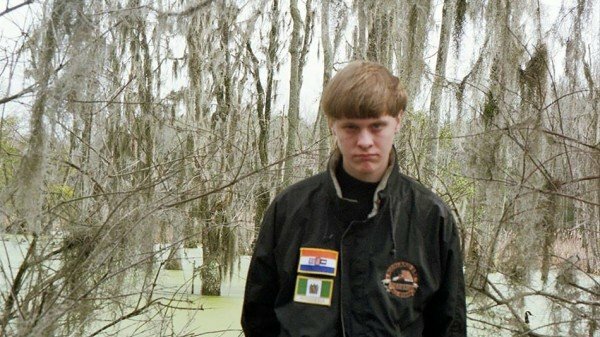 Home World U.S. News Dylann Roof: Who Is Emanuel AME Church Gunman? Dylann Roof: Who Is Emanuel AME Church Gunman? Charleston’s Emanuel AME Church shooting suspect Dylann Storm Roof had recently been given a weapon as a birthday present, according to the gunman’s uncle. Dylann Roof’s uncle, Carson Cowles, told Reuters that Dylann’s father gave him a .45-calibre handgun. Carson Cowles said he tried to mentor his 21-year-old nephew, who had no job or driver’s license, but Dylann Roof was not receptive to this idea. Dylann Roof’s jacket in a photo on his profile page prominently bears the flags of South Africa and Rhodesia, now Zimbabwe, from when the African nations were ruled by the countries’ white minorities. Richard Cohen, president of Southern Poverty Law Center in Montgomery, Alabama, says Dylann Roof wasn’t known to his organization, and it is unclear whether he is connected to any of the 16 white supremacist organizations SPLC has identified as operating in South Carolina. He says Dylann Roof appears to be a “disaffected white supremacist” based on his Facebook page. According to the suspect’s Facebook page, he went to White Knoll High School in Lexington, South Carolina, a two-hour drive from Charleston. It says he lives in the state capital Columbia. A woman who answered a mobile phone belonging to his mother, Amelia Roof, declined to comment to Reuters. “We will be doing no interviews ever,” she said, before hanging up. Dylann Roof’s childhood friend, Joey Meek, alerted the FBI when he saw the grey top he was wearing, according to Meek’s mother, Kimberly Kozny. She told the Associated Press that Roof had worn that sweatshirt over to their house many times as they played Xbox videogames in recent weeks. Dylann Roof reportedly displayed a Confederate flag on his car license plate. Court records in South Carolina show he was facing a drug charge and had previously been arrested for trespassing. Police identified Dylann Roof after receiving tip-offs from friends and family who claimed to recognize him in surveillance footage from the church. Officials circulated the image, appealing for help finding a suspect in a grey sweatshirt, blue jeans and Timberland boots. The DoJ says it is investigating the shooting at the Emanuel AME Church as a hate crime.